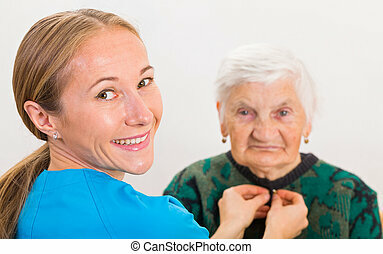 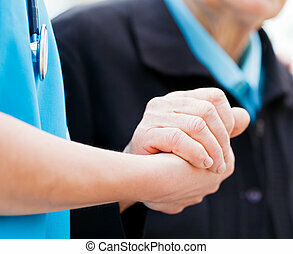 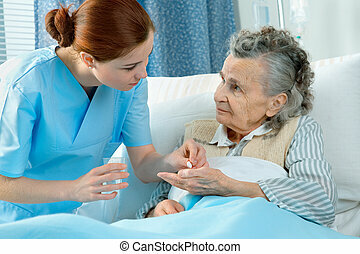 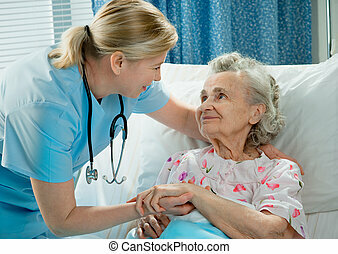 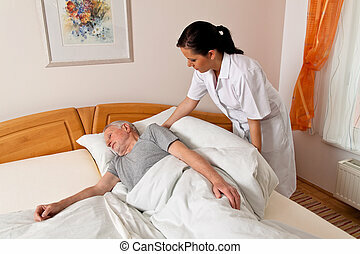 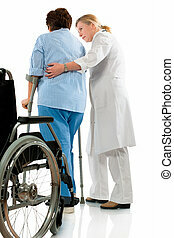 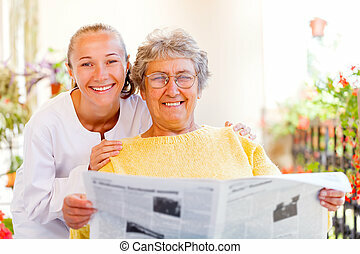 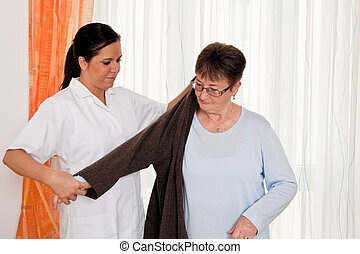 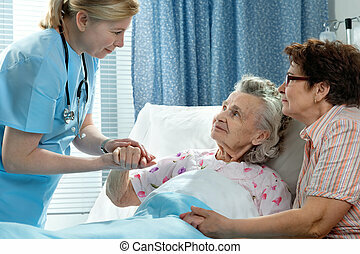 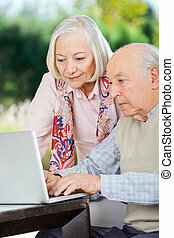 Elderly care. 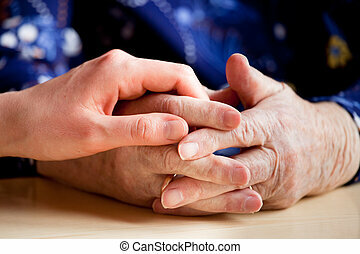 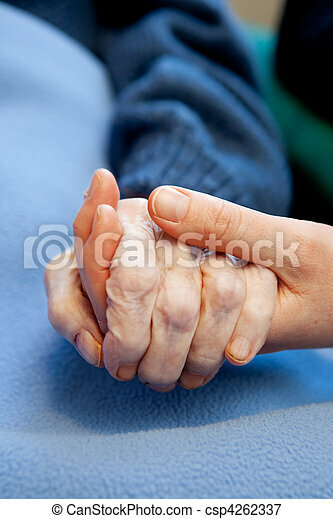 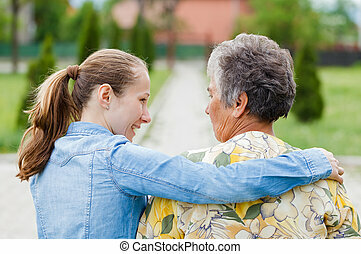 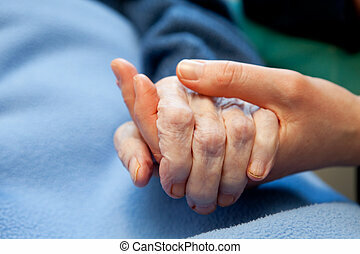 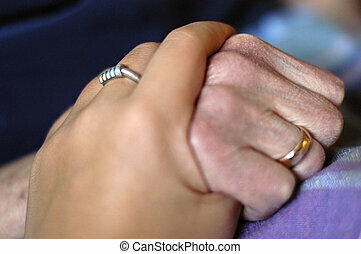 A young hand touches and holds an old wrinkled hand. 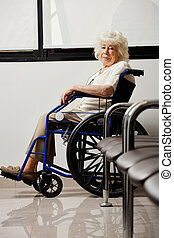 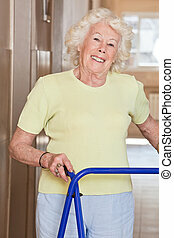 Portrait of elderly woman with zimmerframe. 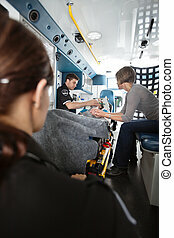 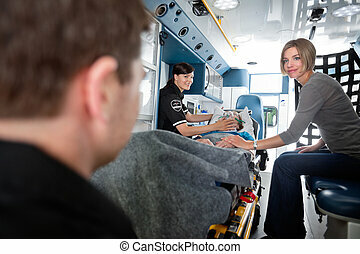 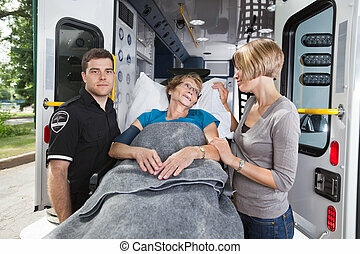 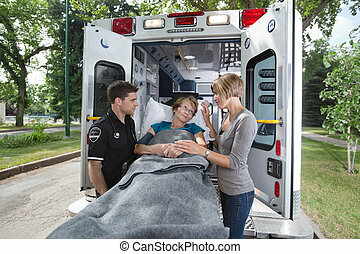 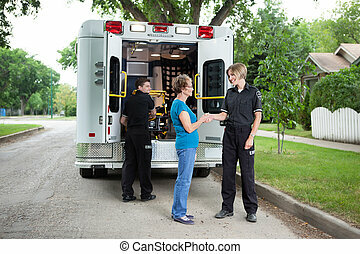 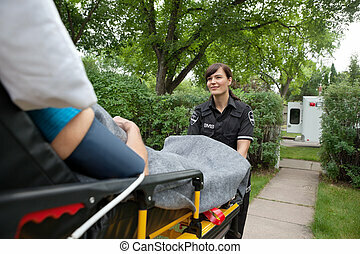 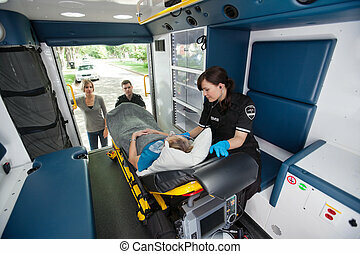 EMT professionals caring for an elderly patient with caregiver at side. 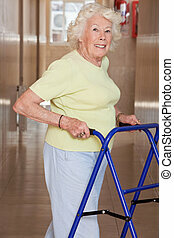 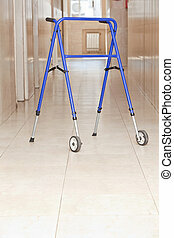 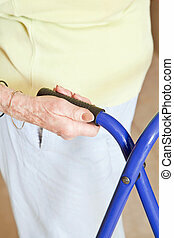 Adjustable folding walker for elderly at hospital.